New Zealand is facing an outbreak of shellfish poisoning that has so far left 10 people in hospital. The shellfish contamination has spread across the North Island coastline and officials in the Bay of Plenty area have expressed fears that people are ignoring warning signs. Humans who eat shellfish containing toxins from algae face paralytic shellfish poisoning which can potentially cause paralysis or even death. 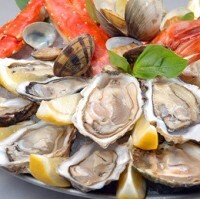 Symptoms appear within 24 hours of consuming contaminated shellfish and may include numbness and tingling in the mouth or face, difficulty in swallowing or breathing, dizziness, double vision and respiratory failure. The seriousness of the effects could act as a reminder for travellers to ensure they have appropriate medical travel insurance in place while also taking sensible precautions in what they eat while away. One man, Chris Douglas, said he started to feel sick after eating poisoned pipi and he felt a numbness in his fingers and toes that gradually spread up his body all the way to his fingertips. Meanwhile Jim Sim, from the Ministry of Primary Industries, told ONE News he was aware of reports that people had been admitted to intensive care in the Bay of Plenty area as a result of the outbreak. The toxins from contaminated shellfish are not removed through cooking and health experts have recommended that, although fish, crayfish and crabs are safe to eat, the guts should be discarded.